Our BASIS Independent Fremont engineers have been working through each phase of the engineering design cycle over the last few weeks. Each grade level has identified a different problem to be solved, brainstormed various ways to approach the problem, and then created technical drawings for their solution. Our first grade engineers are working on catapults that can launch a ping pong ball. 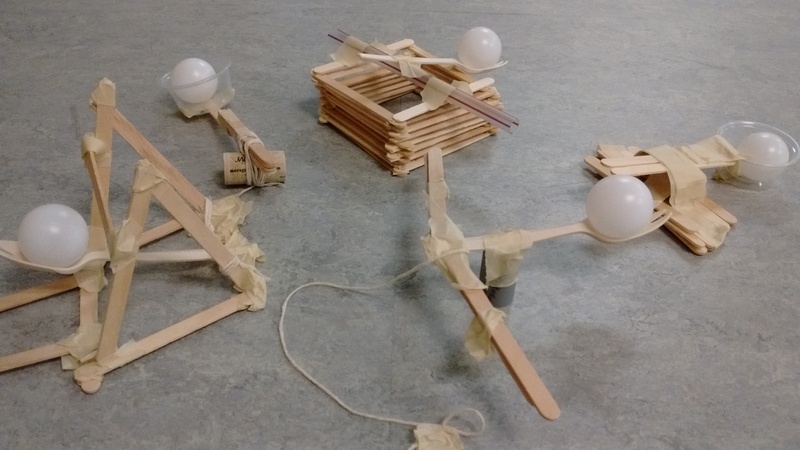 After spending a month learning about the six types of simple machines, the catapult project focuses on one particular simple machine: the lever. The key requirement is that their catapult must use a lever to launch the ball. After spending some time on drawing our catapults and writing out the steps it would take to create our designs, we moved on to builing our first prototypes. Every student wrote down all of the materials they would need, including how many of that material they would need. They then proceeded to collect materials they requested and got to work on constructing their catapult. Ms. Castilla and I were both delightfully surprised by the level of engagement and creativity the first graders have shown in their projects. Many of them expressed how proud they were of what they created. In the coming weeks, we will test our catapuls and make improvements to launch the ping pong balls even further.